Racers at the Cornhill Highland Games. 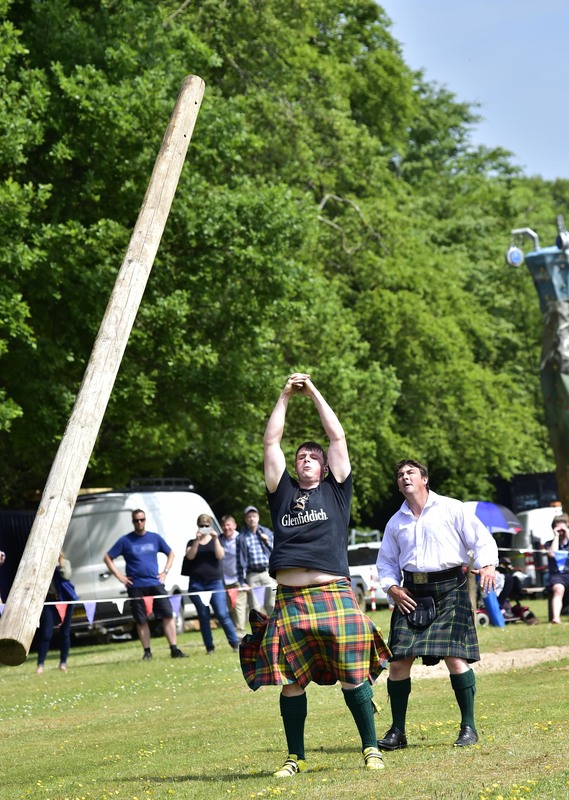 The Cornhill Highland Games returned on Saturday, with hundreds of people turning out in blue skies to cheer on teams in events including the tug of war and caber toss. 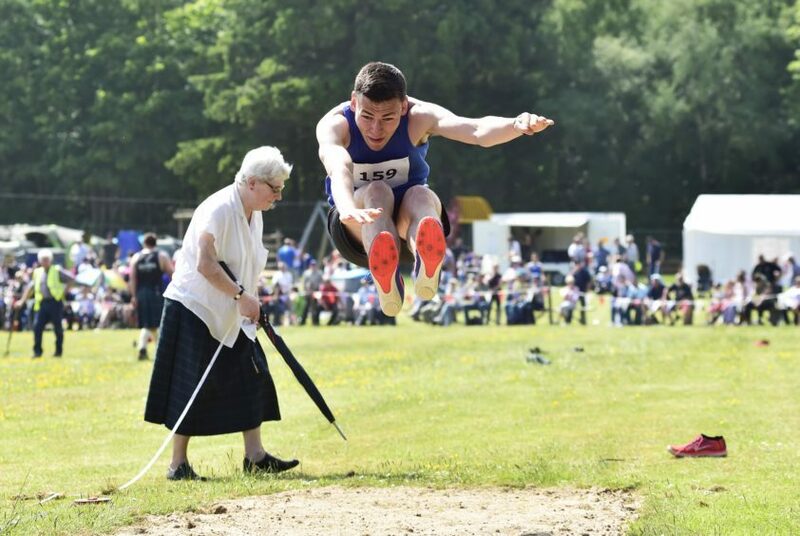 The games were taken on by a volunteer committee following last year’s event, when long-standing organisers decided to call time on their involvement. 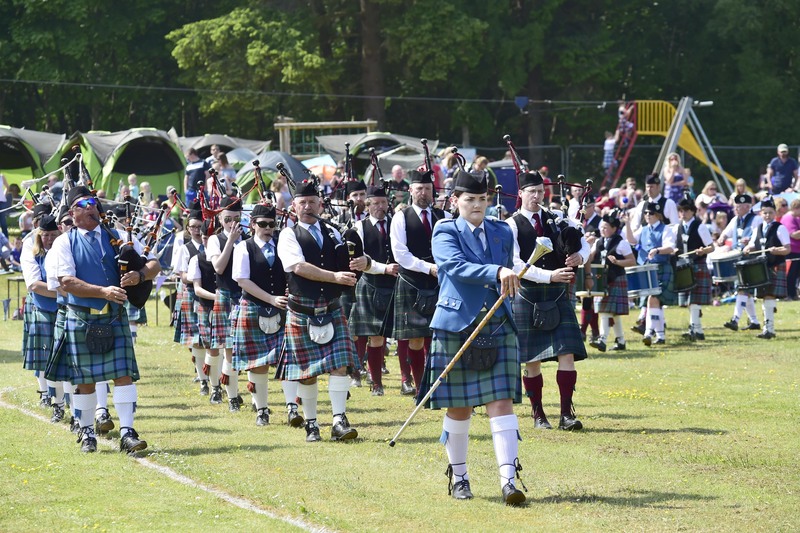 The Massed Pipes and Drums take to the field at Cornhill. They had helped steer the games through 20 years before officially handing over the reigns. Last night, the games’s new marketing coordinator, Vivien Rae, said the team was already looking forward to next year’s effort. “We enjoyed a very successful day,” she said. “The weather continued in its recent good form, with sunshine throughout the day. 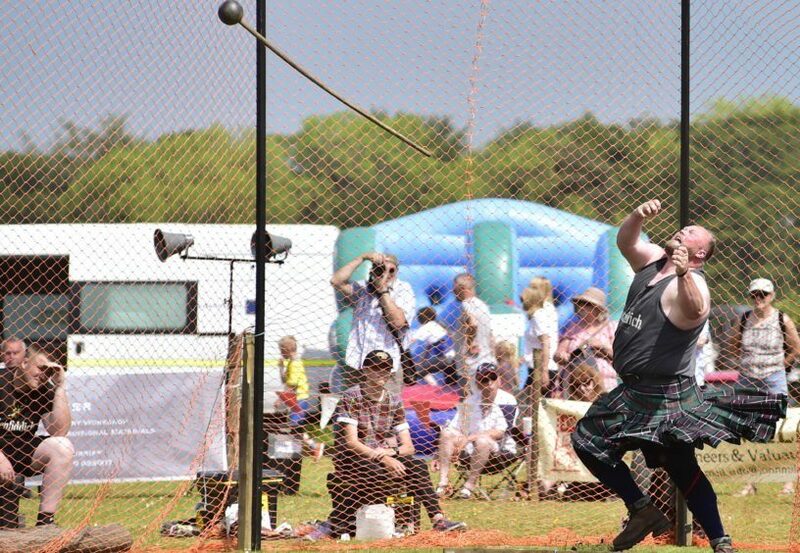 “The games attracted a large number of visitors, including locals and people from throughout the north-east – and many international tourists, too. 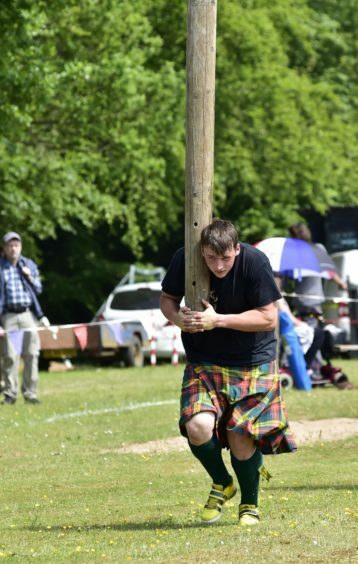 Murdo Masterson from Oban tossing the caber on his way to joint first. This year’s games was also a year of firsts. 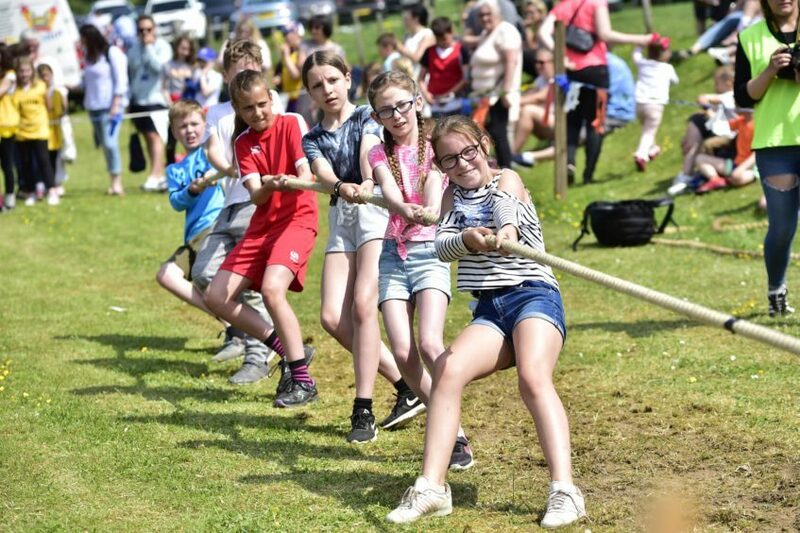 It was the first time that local schoolchildren had been allowed to enter their own teams into the tug of war competition, and a 10k race was added to the games alongside the classic Knock Hill competition. The Knock Hill race was introduced as part of the games in 1970 alongside the traditional events. The race was originally planned as a one-off fundraiser for a new village playing field, but proved such a success it was made a firm fixture of the games. 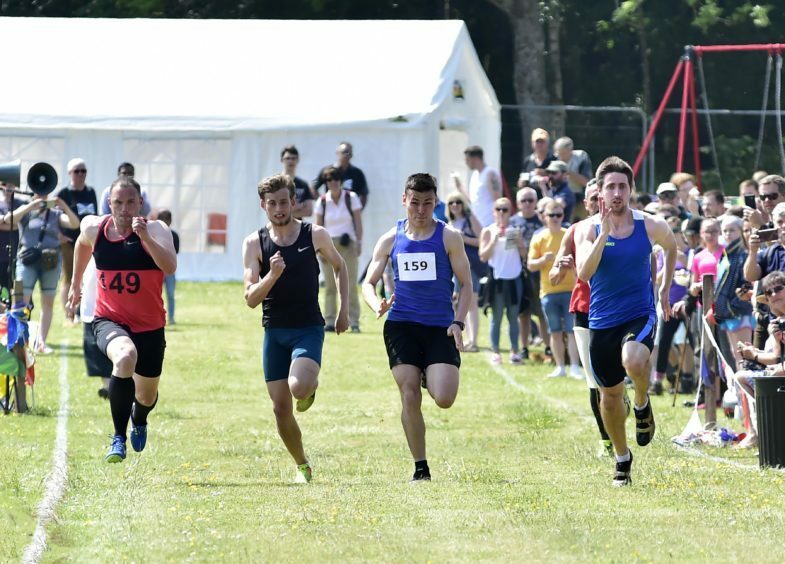 Runners are tasked with completing the eight-and-a-half mile course from Cornhill to the top of Knock Hill and get back in under one hour and 45 minutes. The school’s tug of war was won by youngsters from Ordiquhill Primary. 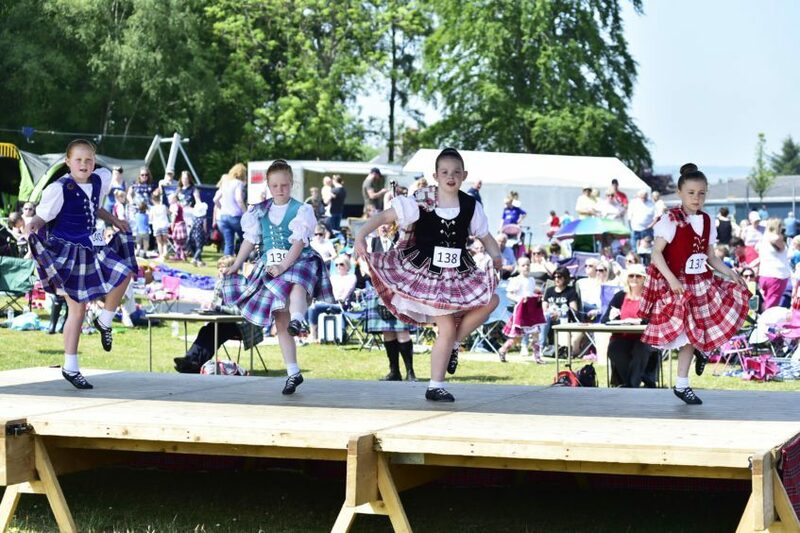 “The new committee are delighted with the event and would like to thank competitors, judges, sponsors, volunteers, stall holders and visitors,” Ms Rae added. And in an effort to prepare for next year’s games, a Burns Supper fundraiser has already been scheduled for January 26, 2019. 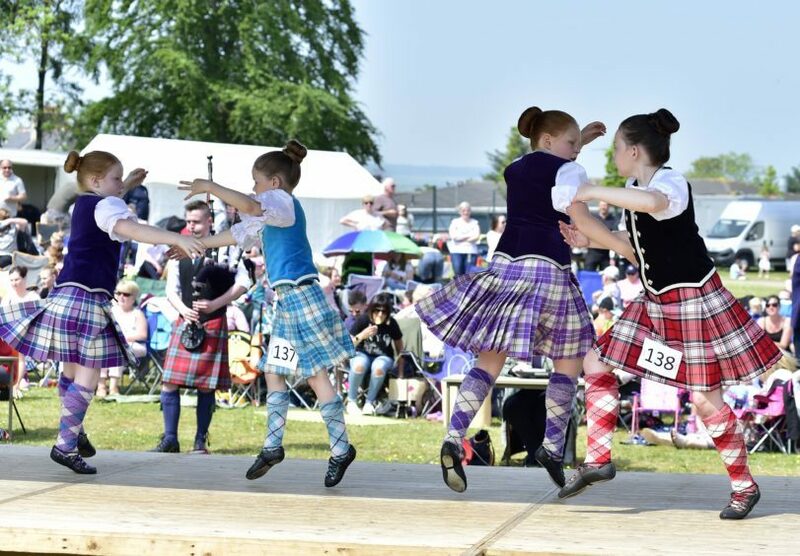 The Cornhill Highland Games, which marks the start of a series of tourist events in the region – including the Portsoy Boat Festival, had to be called off just hours before its scheduled close last year. A freak mini-tornado tore through the Cornhill playing field, throwing equipment and a first aid tent around the park.